In October, the appellate court overturned a previous decision by the New York Supreme Court that prohibited NYU’s $6 billion, 1.9 million-square-foot Greenwich Village expansion plan, but community groups vowed to appeal the decision. And they most certainly kept their word. In a press release sent today by the Greenwich Village Society for Historic Preservation (GVSHP), we’ve learned that the New York State Court of Appeals agreed to hear an appeal by GVSHP, Assemblywoman Deborah Glick, NYU Faculty Against the Sexton Plan, Community Board 2, actor Mark Ruffalo, and other local concerned parties. 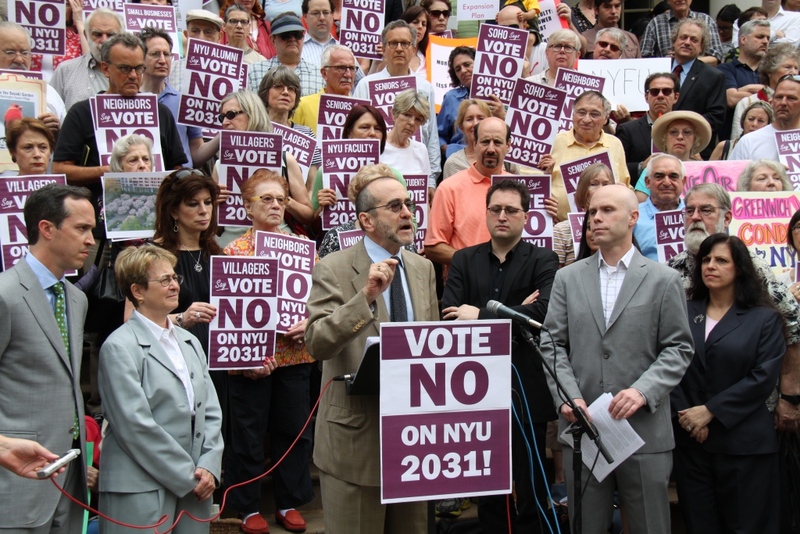 The opponents of the plan joined forces in 2012 after the city approved NYU’s massive expansion plan. They filed a lawsuit stating that the plan would take over “implied park land,” including a dog run, playground, and community garden, that have been used by the public for years. 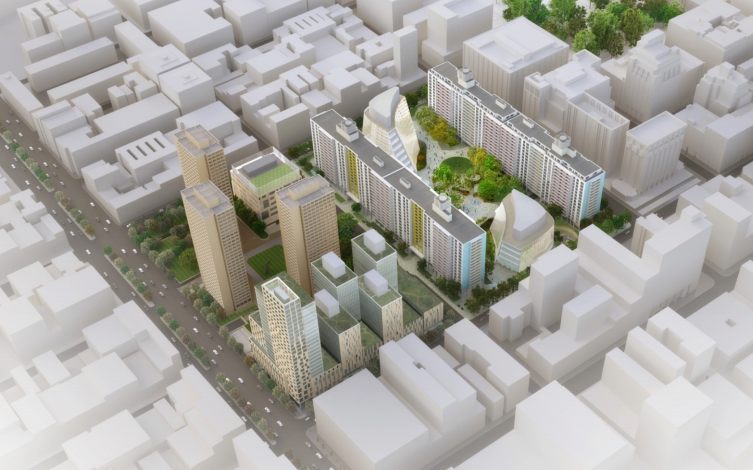 In January 2014, the State Supreme Court agreed and ruled that the city had illegally given public land to NYU, which thwarted most of the proposed expansion from being built. But in October of the same year, that decision was overturned. The appearance in front of the New York State Court of Appeals will be the opponents’ final chance to block the expansion. The City’s approval of NYU’s massive planned expansion plan is not only bad for Greenwich Village, but has terrible implications for the city as a whole. Giving away precious public open space to a private interest, overturning long-standing neighborhood zoning protections, and gutting urban renewal deed restrictions is never a good thing. The process which brought us the NYU expansion plan – roundly opposed not only by the affected neighborhood, but by the overwhelming majority of NYU’s own faculty and staff – was flawed from the beginning, and served the interests of a powerful institution over those of the general public. We are hopeful that upon a full and fair review of the facts, the Court of Appeals will see just how wrong this plan is for New York City.